For Revolver II a single work is propoposed. 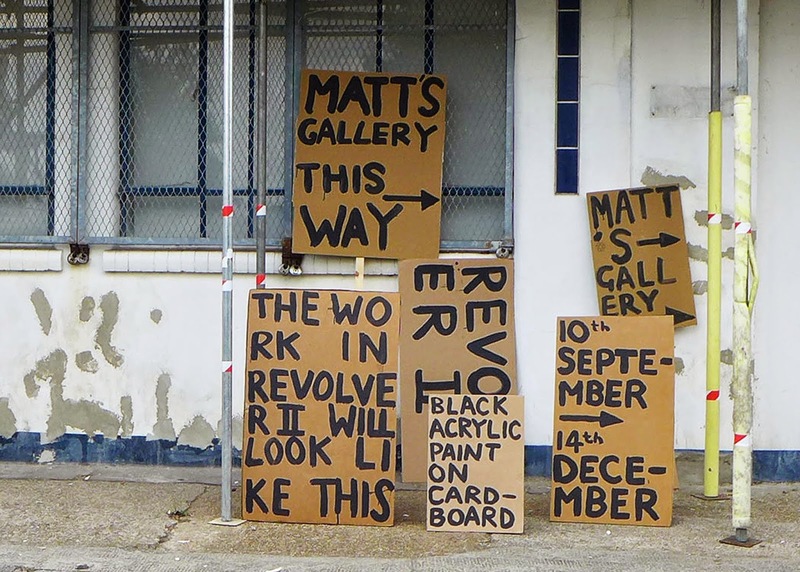 The Sign Paintings are black acrylic on cardboard, installed to the exterior of Matt's Gallery. Part painting, part performance, part documentation, the text signs will evolve day and night, as the show unfolds from September to December.